Are you a caretaker or possibly visiting someone at the Wake Forest Baptist Medical Center? 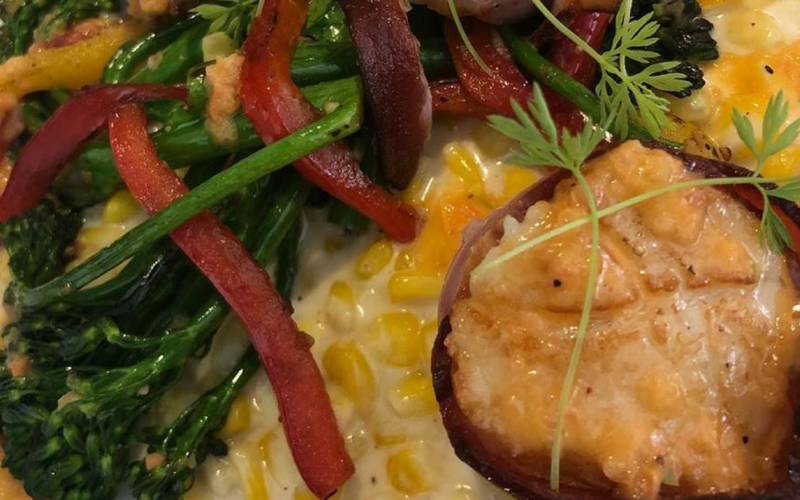 You might be wondering about the best restaurants near Wake Forest Baptist Hospital. 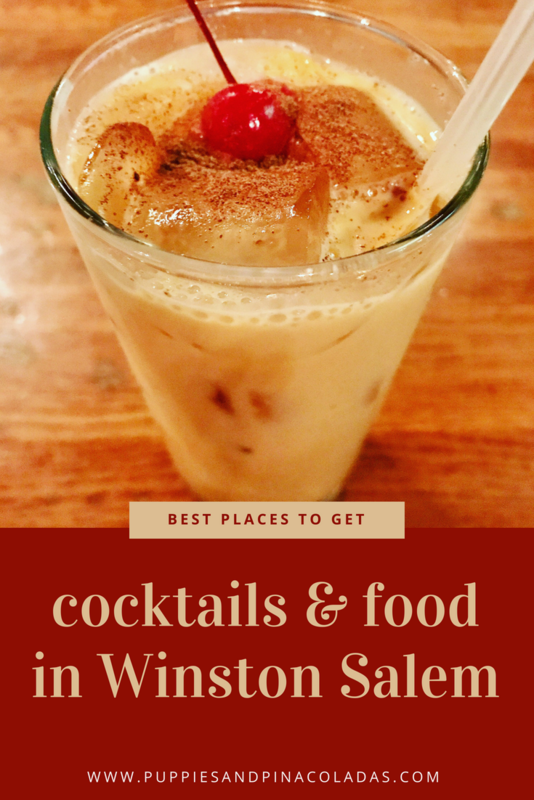 Luckily, Winston Salem is home to impressive nearby wineries, unique attractions, plus delicious restaurants. If you aren’t in the mood for a full meal, consider a milkshake. However, the food at Burger Batch is so good too! Without a doubt though, one of the best milkshakes I’ve ever had is from Burger Batch. Good luck deciding what to order here…there are lots of yummy options! I had no problem finding a vegetarian-friendly meal at Finnigan’s. In fact, there were several vegetarian options to choose from, which was awesome. 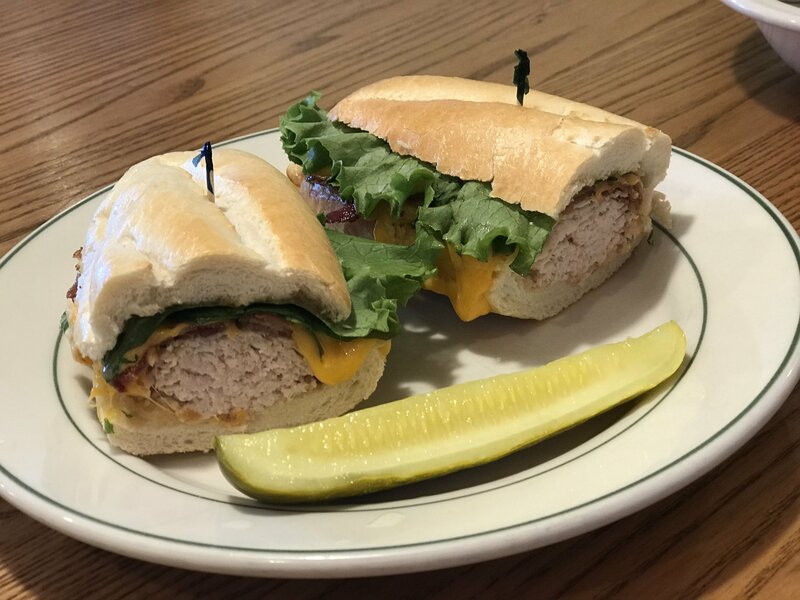 If you are looking for a comforting meal outside of the hospital, look no further than Cloverdale Kitchen. This restaurant is super convenient to the hospital, but just far enough away to clear your head. 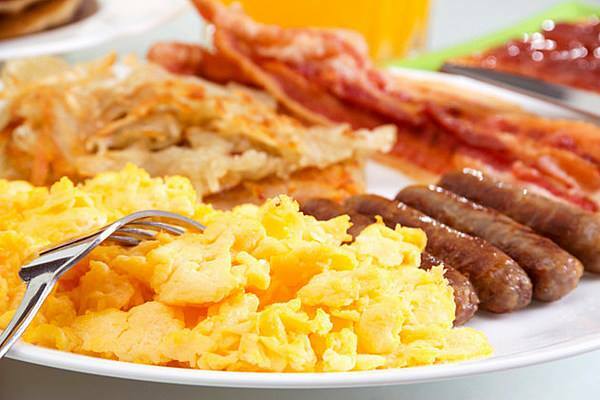 Cloverdale has an endless variety of comfort foods plus healthy and breakfast options. There are plenty of sides to choose from for vegetarians (also check specials that change daily). 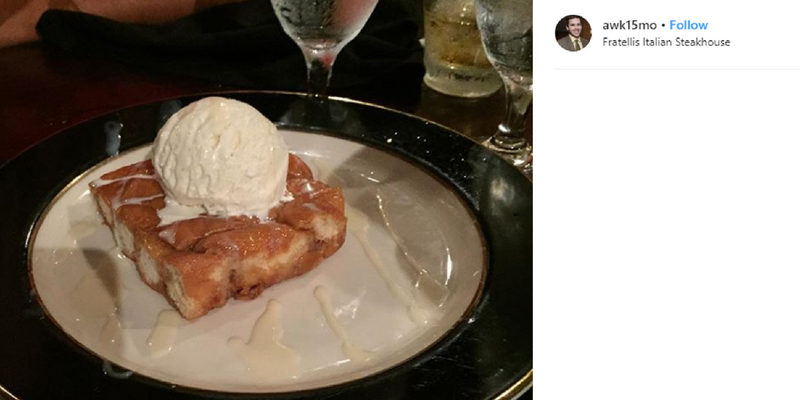 You likely won’t have room for dessert, but I recommend the Bananas Foster Pie. 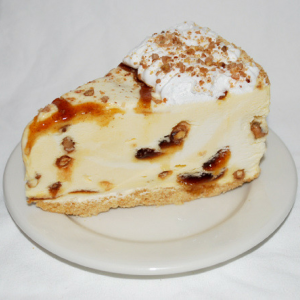 My family went through a period of bringing a cooler just for extra Bananas Foster Pie! It is soooo good. Don’t let the line fool you – this place has shockingly fast service. I am not normally a fan of deli shops because they usually do not have vegetarian options. The Carving Board has more than the typical deli option of a “veggie sandwich” (phew!). I ate the most delicious spinach quiche and fresh fruit. For non-vegetarians, there are lots of healthy and tasty deli options. Hellooooo fellow Krispy Kreme fanatics! If you are looking for a new way to enjoy the most delicious glazed doughnuts around, try the Krispy Kreme Bread Pudding for dessert. 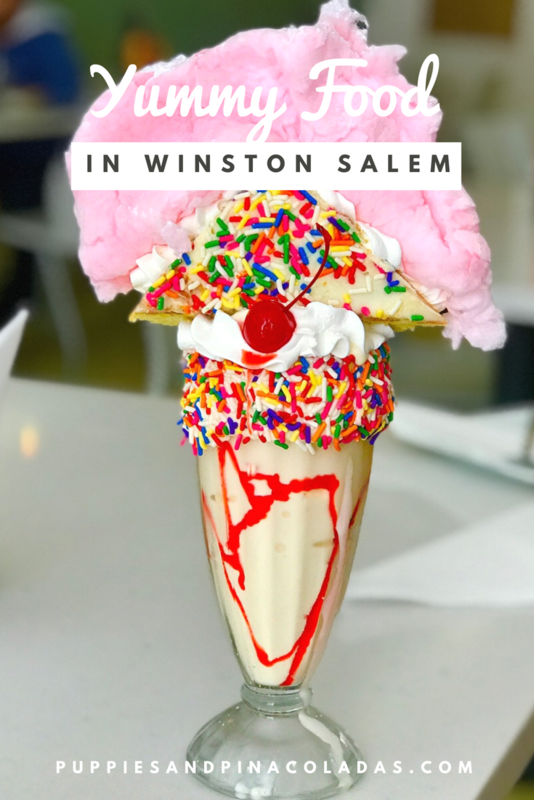 Since Winston Salem is the first place to call home to the doughnut paradise we know as Krispy Kreme, this dessert is a delicious way to enjoy some Old Salem history. Nothing can top an original Krispy Kreme doughnut, but on the rare occasion the iconic doughnut morphs into another dessert – you have to eat it! 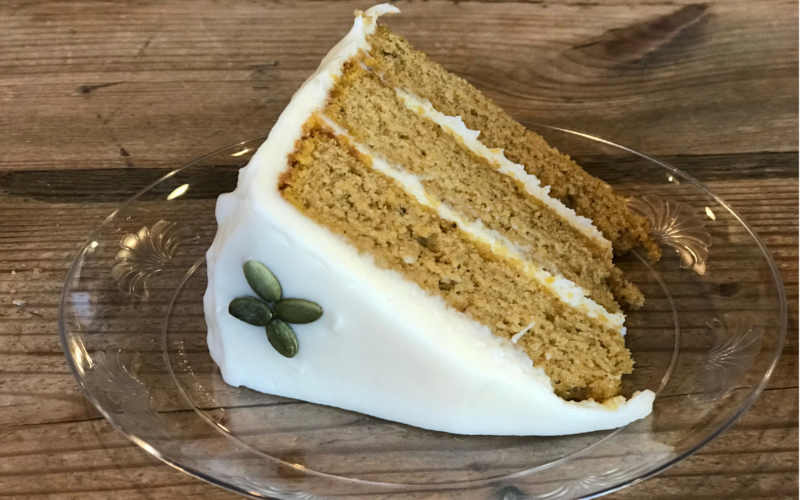 The above-pictured cake picture was taken during the fall and I was lucky enough to snag a slice of this mouthwatering pumpkin spice cake. Oh…my…gosh it was so good! 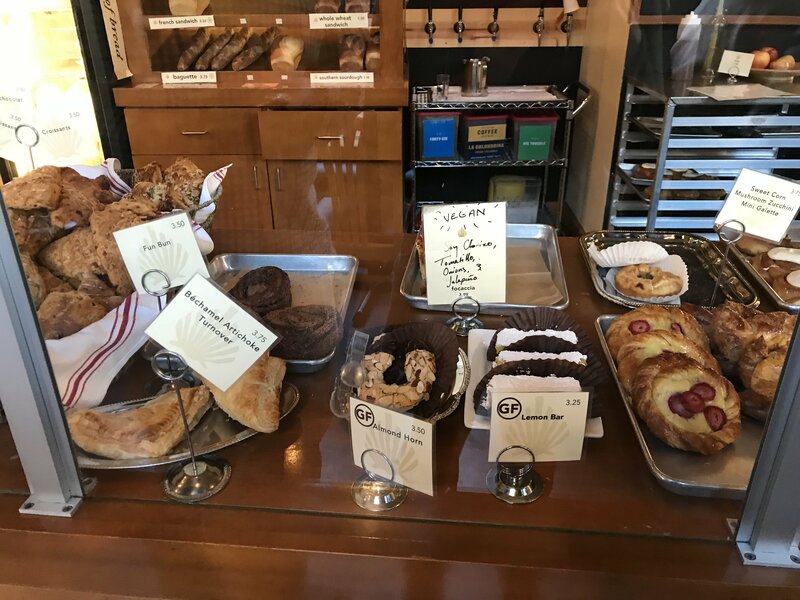 I spotted a few vegan pastry options but according to their site, more options are available Friday-Sundays. The coffee is amazing as well. If you prefer, you can also grab a glass of wine…or a bottle to go! To-go bottles are available at select locations and are 30% off the listed price. If you plan to dine in, you might wait a while for a seat. There is lots of seating outdoors, but it was freezing during my visit so I waited on a table for a while. This might be a great option if you are just getting food to go back to the hospital and do not need a table. Oh Cagneys…thank you for being so close to the hospital and for having fantastic, fast service! Cagneys is an unassuming restaurant near Wake Forest Baptist Medical Center with tasty Southern and Greek food offerings. This restaurant has home country cooking with a meat and two vegetables, vegetable plates, plus breakfast is offered all day. The parking lot may be packed but service is typically lightning fast and cheery. You can walk to Cagney’s in about ten minutes since it is only a half mile away from the hospital, or hop in the car and arrive in under five minutes. Online ordering is also available which is nice if you are in a hurry! Lastly, I just want to say if you are visiting someone at the hospital or a caretaker, my thoughts are with you! 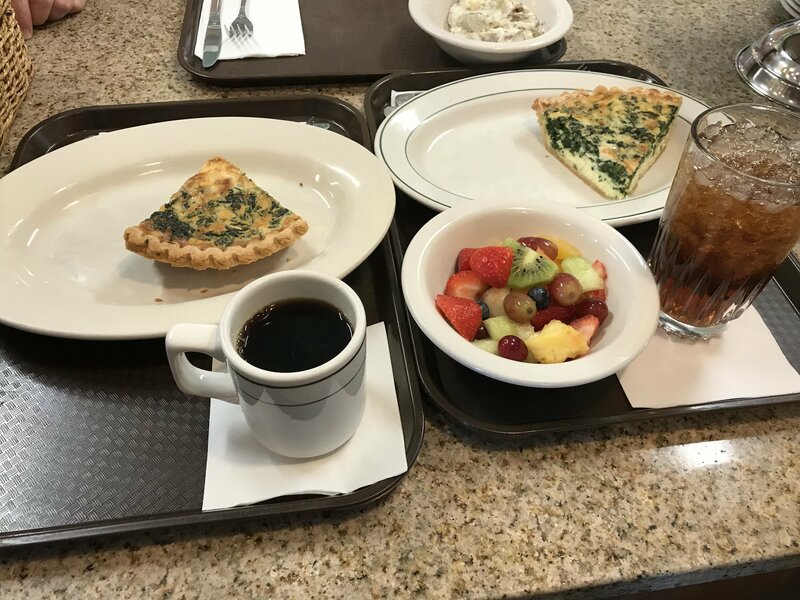 I hope you do not have to be at the hospital as often as our family has, but if you have to…treat yourself to a food break every now and then. Caretakers do not often stop to take care of themselves, but I (not-so) quickly learned that this can lead to a crash and burn. How can we take care of others if we do not take care of ourselves? Anyway, I do hope you have found my list of the best restaurants near Wake Forest Baptist Hospital of some use. Let me know if you have additional favorites!